If you are a WordPress user, then you definitely know the importance of keeping backup copies of our files and database because there is always a risk of losing your data. How? your site might get hack (WordPress security level or server security level). What’s worst? You could lose all the files and databases. There are a lot of ways to strengthen your WordPress blog’s security but we still think one of the best way is to backup regularly so that you can re-install your files or content and roll backed to your post in no time if the site is compromised. Here, we have chosen some of the plugins and services which can be helpful in terms of backing up your WordPress files and databases. Full list after jump. These plugins are used to take a back up of your critical data, files, tables and save them to your archives or any of the online storage for free or for a nominal price. Schedule the storage automatically and manage your entire database with these. Bei Fen backup plugin gives you the choice of taking a backup of either your complete WordPress installation or only the files or only your database and the backups can be restored with a single click. This plugin creates an archive of your files and uploads and data and provides a connection to any of the free online storages like Dropbox, or Amazons AWS S3 and also to an FTP. You could exclude your cache directories or some of your MySQL tables which don’t start with your table prefix. WordPress Backup plugin is used to zip your back up your images, current theme directory and your plugin directory. With WP S3 Backups take a backup of the parts automatically and install them to Amazon S3, a service to safeguard your important files at a comparatively lesser price. A complete plugin to optimize, repair, backup, restore, and delete the backup database and also to run your queries is offered by WP-DB Manager. Also manages the automatic scheduling of the back-up and manages your whole database. An administrator plugin WordPress EZ Backup create backup archives of your entire site, archives of any MySQL database chosen by you. You can view the Live log file of your backup procedure. Has an interactive Help & Auto Settings of your web server configuration. DBC Backup plugin schedules daily database backups with the wp cron system where your backup file is protected by a small hash key and are transferred to an export directory, .ht access and an imdex.html file. You can compress your backup as Gzip or Bzip2. Other than taking a backup of your WordPress Blog database and files, BackWPup plugin optimizes checks & repairs the database, stores the backup either to Folder, FTP Server, Amazon S3, RackSpaceClous and sends a log or backup via e-mail. Taking a backup of your data means storing it in a secure place which should also retrieves your data at a much faster rate. These online storage options helps you keep a check on your data where you can share, upload and edit your files. Sync your files or your WordPress data of any size online automatically and also when new changes and files are detected and store them on Dropbox’s secure servers. Share and control the access of your files with other people. Get a storage space of 2GB for free and up to 100 GB for premium usage. IDrive offers you the facilities of Automatic and Continuous Backup, True Archiving, Versioning, Mapped Drive Backup and more with an online backup space of 2GB for free in IDrive Basic Package and a space of 150 – 500 GB for premium users and a 50GB pack for multiple users for Business under the IDrive Pro package. Humyo offers a free online storage space of 5GB for media files and 5GB for non-media files where you can access these via web only, but once you upgrade your account to Premium one, you get 100 GB storage along with automatic backup, sharing, uploading & downloading files, access via web, phone, PC, extra secure SSL encryption at a price of $69.99 per year. Binfire offers File hosting, Collaboration and Project Management site in its free version with 10GB storage space, file uploads of 200 MB, Private & Project web folder, File locking, Member permissions, Whiteboards, Status reports, Intuitive tasks & Milestones for projects and more. The Backup services take a backup of your blog, and store them securely and restore them in case of a crash and provide you with many other services like upgrading your versions, giving you the authority of controlling your data, migrating to a new server and more. blogVault creates a backup of your blog which includes the full posts, comments, images, plugins, themes and style sheets by copying them into its secure and robust servers which lets you restore the contents any time easily. Backupify is a service to backup your archives, cloud accounts, SaaS data, WordPress data and social media files on a daily basis to the Amazon S3 cloud with great security and a data duplication policy. You could not only backup your data but also control your data independently. Backup Technology specializes in online backup and disaster recovery and provides on-demand backup through an enterprise level backup service where the data is highly encrypted and compressed and stored in a secure data centre. Provides you an online backup of 50 MB for free with the facilities of locked and email backups. myEASYbackup plugin performs a backup by creating a single file called dataset which compresses the data in a .zip file format and saves them outside WordPress installation directory. You could download, upload and delete your data sets. 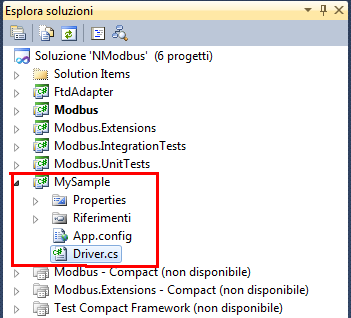 In this post you will find how to use nModbus with C# and how to create a simulation enviroment to test your program with Modbus. The C# library that i use the most when i need Modbus communication between pc and plcs or other components is nModbus. nModbus manages both Modbus TCP and RTU protocols, it’s well tested and sources are available. The site for nModbus is http://code.google.com/p/nmodbus/and here you can get the latest sources. Once you extract the sources you can open the solution file, located in the src folder. Depending on the registers that you are going to read and write you have different methods, that will call the different functions of the protocol, and that will return the results in 2 formats: ushort or bool (if you are reading multiple registers you will get array of ushorts and bools). NModbus is supported by thousands of users, and you can find help on the NModbus google Group. This simulator provides both Modbus TCP and RTU protocols, and shows the content of the registers in the main windows so you can analyze the behaviour of your program directly in the tables of the simulator. While it’s easy to use TCP to analyze the Modbus TCP on the host (just create a socket with a 127.0.0.1 ip), testing Modbus RTU or ASCII may require some hardware, like a null-modem cable and 2 COM Ports. To avoid this you can download a null modem emulator called Com0Com (open source, located at http://sourceforge.net/projects/com0com/) to create a pair of virtual com ports wich you can use to connect your simulator and software. Wireshark is used to sniff ethernet packets and to decode the protocol. This tool can decode Modbus TCP protocol quite good and it’s useful to debug the transmission. Free Serial Port Monitor is a serial port sniffer that can analyze the transmission between 2 COM Ports. This library offers a client with some interesting features and it’s also useful when debugging devices.